Oh, guys. I need your help. This is Sami. She’s six years old. She’s a precious little girl who loves to play with her parents and siblings, loves pink, and loves being the princess of the house. Her parents say that when she enters a room, there’s no question who’s in charge. Sami also has an extremely rare blood disorder called Fanconi Anemia and it’s threatening her life. Her only hope for survival at this point is a bone marrow transplant. I heard about Sami a couple of days ago when I got a call from the folks at the Gift of Life Bone Marrow Foundation. I was desperately hoping they were calling to tell me that I was a match for her. Alas, it wasn’t to be. But someone out there IS a match. YOU might be a match. And we have to find out before it’s too late. * If you’re between the ages of 18 and 45 and are in good overall health, GET SWABBED! It’s the easiest, quickest thing you’ll ever do. It’s literally a swab of the cheek and you’re on your way. No fuss, no needles, no pain, no money. Your information goes into the donor data bank and that’s it. Find an upcoming donor drive here or …. * HOST A BONE MARROW REGISTRY DRIVE to get more people registered! It’s easy, it’s fun, it’s free. Heck, it’s a good excuse to gather some friends / colleagues together and it feels great to know you’re doing something to help. If you own a business, it’s also a great way to bring people in the door! * HELP OFFSET THE COST OF PROCESSING DONOR KITS. Processing each potential donor’s lab kit costs Gift of Life $60. If you can give financially or help raise funds, it helps immensely. * JOIN US AT THE BOSTON WALK FOR LIFE on Sunday, April 26th. * PRAY – for Sami, for her family, and for all others who are desperately hoping for a match. She’s beautiful and funny and sassy … and six years isn’t nearly enough. We can save her life. dang it, it looks like you’re right .. UNLESS you can get to a donor drive, where, as i understand it, there’s no charge. i was swabbed at a drive and no one asked for money at any time. It really is! I’ve been registered with them for over 20 years. I’ve only been contacted for further testing once in that time, which tells me that lots more people need to be joining the registry. I joined over 20 years ago, through what is now Be the Match. They also have donor drives listed on their website, which you can find through http://bethematch.org/Support-the-Cause/Donate-bone-marrow/Join-the-marrow-registry/Register-at-a-local-event/. 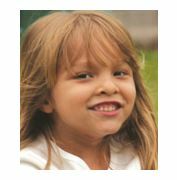 Does the little girl seek out bone marrow through multiple registries or just gift of life? I have registered with Be the Match. this post was from last march. i haven’t followed the story and i really don’t know.